There are several programs available that help veterans, as well as active service military men and women, receive higher education at an affordable cost. For example, the GI Bill and the MyCAA program can cover tuition costs for servicemembers and their spouses. Some colleges even offer further benefits to military members, like waiving the application fee, providing free books, or even offering tuition discounts and scholarships. Schools that offer these kinds of perks are known as military friendly colleges, and they ultimately provide places of learning where strong military communities and support networks can thrive. Overall, they help veterans and active servicemembers drastically reduce the cost of school. While there are many factors that determine if a school is military friendly, each institution doesnai??i? ?t have to adhere to a checklist to claim this status. Veterans and active service members are highly encouraged to find the best fit for their individual needs. 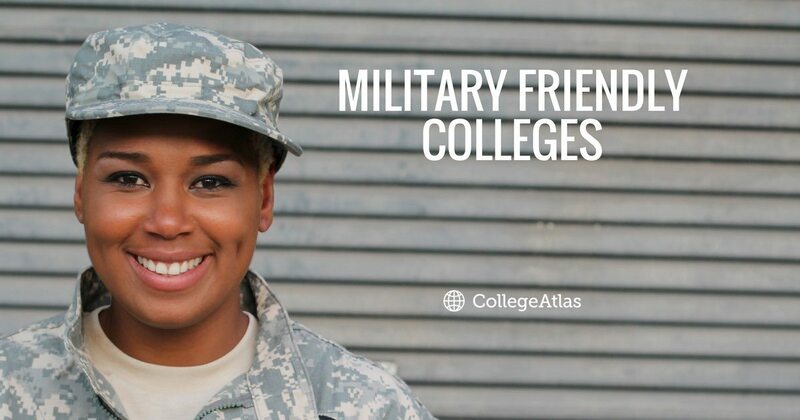 Find a Military Friendly College Online. You May Qualify For $6,095 in Grants! What Are the Best Military Friendly Schools? To answer this question, you first need to decide whether you would prefer to attend college online or on-campus. There are several great choices for both options. As for online military-friendly colleges, US News compiled a list using methodology that consists of qualifiers such as federal financial benefits, GI Bill certification, Yellow Ribbon Program participation, a critical mass of students with military backgrounds, as well as academic factors, including program reputation, faculty credentials, retention rates, and graduate debt loads. The top 20 schools on that list are below. See the entire US News list here. Along with online schools, US News also put together a list of the top military-friendly on-campus colleges in the nation. The methodology for this list is similar, using only GI Bill-certified institutions, those who participate in the Yellow Ribbon Program, and who have a high population of students with military backgrounds.